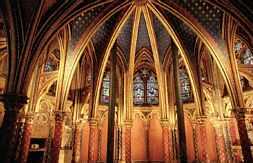 The Sainte-Chapelle was built in the thirteenth century by order of Saint-Louis to contain what he believed to be the Crown of Thorns from Christ's crucifixion and fragments of the True Cross. 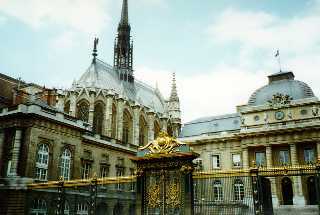 The high chapel with its 600 sq. metres of windows, 2/3 of which are authentic, offer one of the most complete sets of stained glass window from this era. 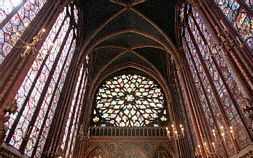 The stained class windows actually help support the structure of the church. This building is hidden from the street. 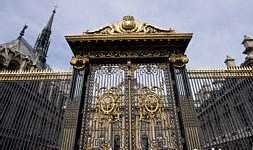 Look at the top picture and the one above and you can see it on the left behind the gates. If you cannot find it, make sure you ask.